The Padonia Building is optimally located at 201 W. Padonia Road, Lutherville-Timonium, MD 21093. Property amenities include close proximity to area retail, restaurants, banking and ample free surface parking on-site. The property has easy access to I-83, I-695, and York Road, and the building is highly visible from Padonia Road, York Road, and I-83. Contact us today to lease space at this wonderful property! 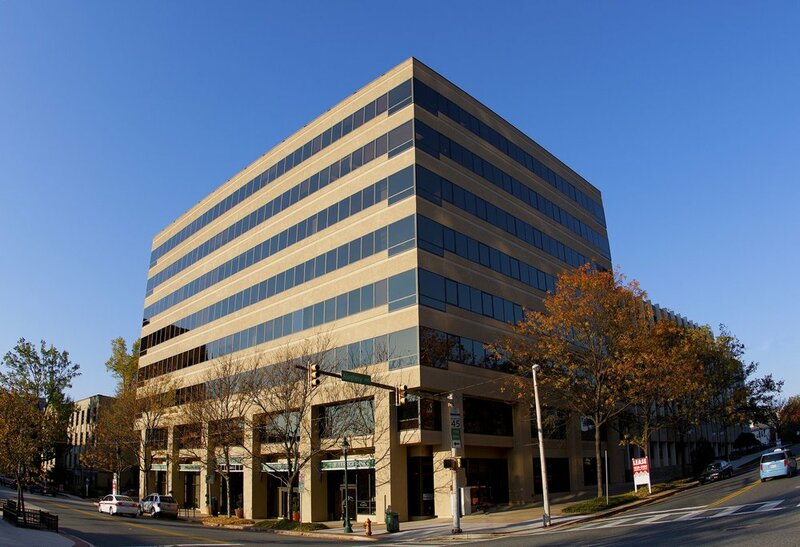 The Nottingham Center is centrally located at 502 Washington Avenue, Towson, MD 21204 - right in the heart of Towson! The Nottingham Center is within walking distance of more than 50 restaurants, the Courthouse, the Towson Farmer’s Market — and the property is just minutes from I-695 & I-83. Contact us today about leasing office or retail space in the Nottingham Center! 1615 York is conveniently located at 1615 York Road, Lutherville-Timonium, MD 21093. The property is featured prominently on York Road, and is located just minutes away from I-695 and I-83. The property is owner managed, and it has a freshly painted exterior, new landscaping, and an open air courtyard. Contact us today to lease space in this York Road gem! Our dedicated team at Mid-Atlantic Properties works around the clock to service the needs of our tenants. The needs of your business are paramount to us. We strive to have full satisfaction from our tenants. That mission is unattainable without a devoted team like ours at Mid-Atlantic Properties. Our company's commitment to helping our tenants achieve their goals makes us flexible, honest, and hardworking. Mid-Atlantic Properties, Inc. is a privately owned investment, development and management company. Established in 1987, Mid-Atlantic Properties has become a prominent owner of office and retail buildings in the Mid-Atlantic region. We concentrate on purchasing office and retail “value-add” properties. Our focus is not solely on our investment, but also on our tenants who fill our properties. Mid-Atlantic Properties is constantly working to improve the quality of our tenant experience. Stay up to date with our latest company news, memos, events, and other information. We also love to show-off what our wonderful tenets are doing in the community. We respect your privacy and will not share your email address with any other parties.